Khemri knows his place in the galaxy. Selected as a toddler, augmented and groomed for Princedom in the years since, Khemri embarks on his career not only prepared to join 9,999,999 other Princes as co-ruler of the Empire, but convinced that he is the best and brightest of the pack. After a few years of doing what he pleases and, of course, demonstrating his superiority, he expects to be selected as the next Emperor: the powerful mind that oversees all of the Princes and everything they command. The current Imperial Mind does indeed have something special planned for Prince Khemri. However, the road meant to take him there also reveals, bit by bit, the flaws in Khemri’s understanding of the role for which he has been remade. Two criticisms have been pretty consistently levelled against A Confusion of Princes (though most reviewers quite like it just the same): 1) the pacing of the novel doesn’t leave much space for the development of its deeper themes, especially toward the end, and 2) Khemri’s relationship with Raine is too quick and too influential to be believable. I’m going to go out on a limb and disagree – at least to some extent – with both, for basically the same reason. It’s true that Nix spends a lot of time on world building early in the novel, and then packs the majority of the story’s events, and Khemri’s development, into the relatively small space remaining. However, that early world building lays the necessary groundwork to make the rest of the story both believable and meaningful. And while the majority of the novel moves quickly, there are plenty of signs throughout that Khemri not only can, but has already started to diverge from the norm. Raine is a contributor to Khemri’s change, but only that. Read the book? What did you think of Nix’s choices? 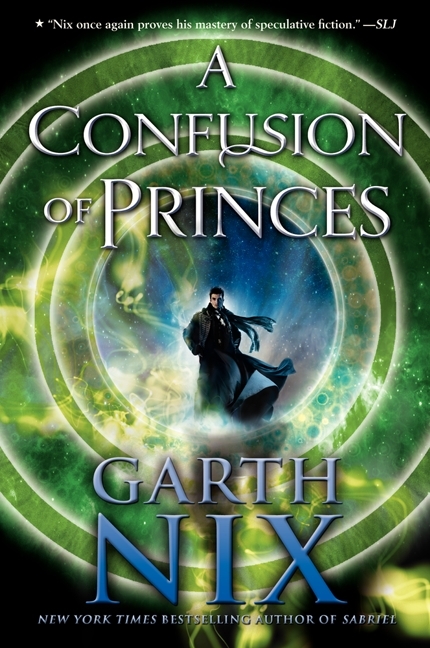 A Confusion of Princes has been compared to a lot of past science fiction that I’m woefully behind on reading for myself, so I’ve linked extra reviews to give you better coverage of that aspect of the book. Enjoy! Check out School Library Journal, Tor, io9, and The Book Smugglers. Read an interview with Garth Nix about A Confusion of Princes and his varied work in the book world. The legends of King Arthur and his knights of the Round Table have inspired some of the greatest works of literature–from Cervantes’s Don Quixote to Tennyson’s Idylls of the King. Although many versions exist, Malory’s stands as the classic rendition. Malory wrote the book while in Newgate Prison during the last three years of his life; it was published some fourteen years later, in 1485, by William Caxton. 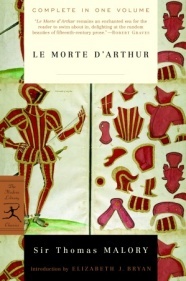 The tales, steeped in the magic of Merlin, the powerful cords of the chivalric code, and the age-old dramas of love and death, resound across the centuries. Long ago, Bray Valley lost its sheep to a wolf when an irresponsible shepherd got himself into trouble with the villagers. Betsy, Bray Valley’s newest graduate from Shepherd School, would never be so foolish. But while she’s determined to be the best shepherd her village has ever seen, the very hungry Zimmo the wolf has a cunning plan of his own. Step one: discredit Betsy by hiding whenever she cries “Wolf!” Step two: eat the sheep. Can Betsy come up with a better plan before Bray Valley finds itself wool-less once again? She can. In fact, in Betsy Red Hoodie, Zimmo is Bray Valley’s second shepherd. When Betsy is sent to visit her grandma with a basketful of cupcakes, though, she’s warned to leave Zimmo behind. “Wolves aren’t good for grandmas,” as everyone knows. Still, Zimmo has proven himself a kind wolf, and a good shepherd, so Betsy invites him to come. It isn’t long before Zimmo runs off ahead, however, and Betsy starts to wonder whether she’s judged him wrong after all. Though the Betsy stories draw heavily on their predecessors, each is an entirely new story that both children and adults are likely to enjoy. Levine and Nash work well together: Levine provides the foundation stories, and adds her own dash of humour via place names like Soakenwetz River and Slippenfall Hill. Nash’s illustrations, full of witty, anthropomorphised sheep, interpret the stories in ways that repeatedly catch the reader by surprise. Watch especially for Bo Peep Gas in the village, sheep that mimic human scenes, and a hunter who leaves tradition in the dust. My favourite bit is the way the sheep in Betsy Red Hoodie arrive for their trek to grandma’s house kitted out in hats, packs, and hiking boots that indicate a variety of sheepish personalities. 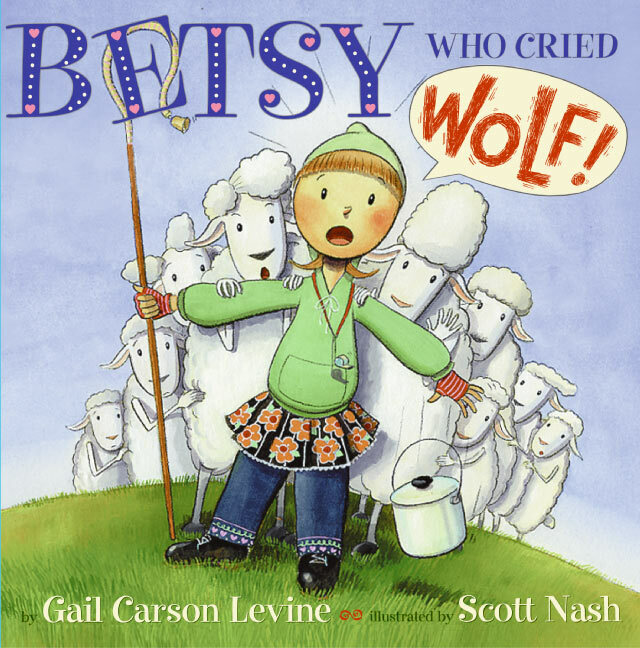 Read other reviews of Betsy Who Cried Wolf from L.M. 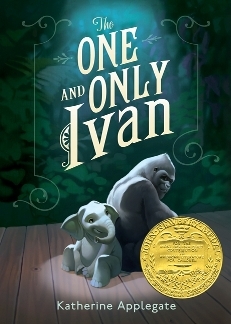 Sherwin and Publishers Weekly. 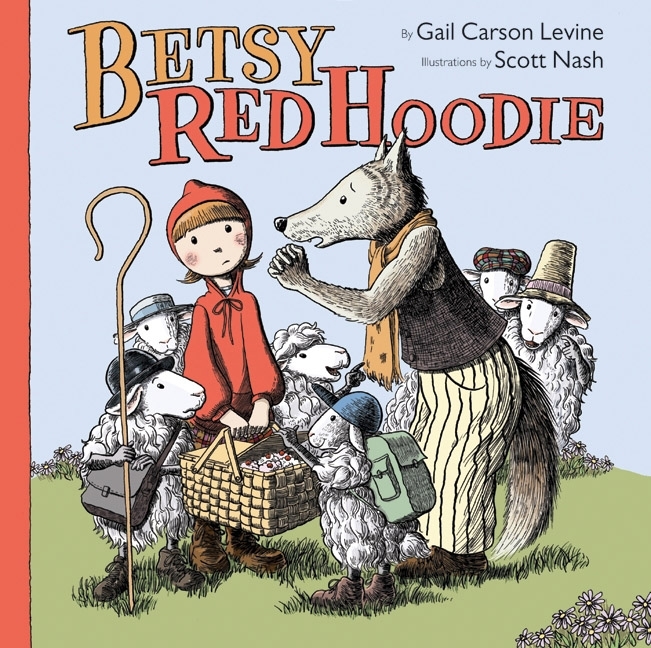 Read more reviews of Betsy Red Hoodie from SurLaLune Fairy Tales and Kirkus. How many of the books on your shelves come in sets of three? Trilogies are big these days, and for good reason: three books give the author more space to develop a story and keep readers coming back, without running the risk a longer series does of petering out when the number of books exceeds readers’ interest. Trilogies’ popularity isn’t new, though. This week’s Ten reintroduces some excellent past trilogies that, like their newer counterparts, will keep students reading. The only trick now is to find them! Note: I read and loved most of these titles when I was young, but I haven’t reread most of them in quite a long time (and yes, I confess that The Lord of the Rings and the second and third Emily books remain on my to-read stack). With the help of Goodreads and Wikipedia, I’ve done my best to get the basic summary right, but please let me know if I’ve gotten something wrong. Katy Carr has ideas of her own — most of which get her into trouble. 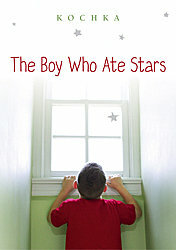 Most of the first book in the trilogy is about Katy’s response to an accident that leaves her (temporarily) paralysed. The second covers a year at boarding school, and the third follows Katy to Europe, where she spends a year assisting a family travelling there. Oh George, Oh Martha…James Marshall’s Tons of Fun (1980) features two bosom-buddy hippos who, well, are sure to find their way to your heart in the way of long-time, zany best friends forever! Over the course of five short stories, most of which are connected, George and Martha battle and laugh their way through various situations. What to do when a friend needs alone time? What do about the bad habits of the ones we love? What to do when a surprise misfires? These are just some of the every-day problems featured in this book, made extremely funny through the unexpected solutions and reactions of this winsome pair. With bright colours, wonderful 80s-era illustrations, and a pretty even text-to-image ratio, Tons of Fun is great for toddlers. Unlike some more text-heavy volumes, this 47-page narrative never tests my little one’s patience. It also lends itself well to interactive activities. In addition, the reappearance of themes and objects in different capacities across the stories makes for a nice variation on repetition. While another great used-book find, Tons of Fun and other volumes in the series are still available today. And, in fact, picking up more George and Martha is very much on my list to do. Somewhat sad that I didn’t know about these hippos sooner, I’m more than happy to enjoy their drama and absurdity with my daughter now!